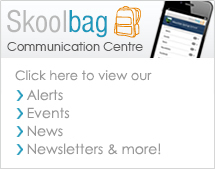 Brentwood Park Primary School has always had a strong focus on health and physical education. When students participate in the Physical Education program they are educated in a range of different sporting experiences with a focus on fitness, motor skills, sportsmanship, game sense and teamwork. 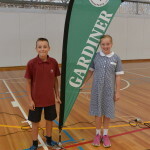 Students in grades three to six have the opportunity to participate in athletics, swimming and cross-country with the ultimate aim of representing Brentwood Park at district level. Brentwood Park has students who represent our school at district, zone, regional and state level. 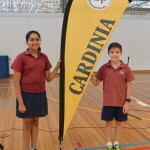 Students in Foundation and Year One, participate in the Perceptual Motor Program (PMP) and all students have a regular sports time where they can specialise in a range of team sports and eventually participate in a team representing the school in interschool sports in grade 6. Students are always encouraged to have success in sports by always improving their own skills, making their own goals and doing the very best they can. Children in Years 1-6 also have the opportunity to participate in sport each week. The emphasis during these sessions is on skill development and team work. 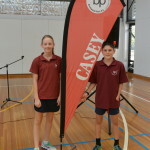 Years 5 and 6 children also compete in Inter School Sports (both summer and winter) and athletics and cross country events. Prep students participate in Perceptual Motor Program. The student population is divided into four teams or houses. 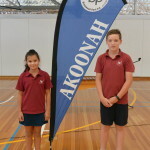 House Captains are elected by the students and have a number of responsibilities including conducting school assemblies. In keeping with our ties to the history of Berwick the houses have been named after prominent residents and locations. Casey: Takes its name from the Shire name also. The Shire of Casey was named after Richard Gavin Gardiner Casey who had a great deal of influence on the region and Australia. He was Governor-General of Australia. He was an author and aviator. Gardiner: Was named after Captain Robert Gardiner. He was one of the first European landowners in the district. He named Berwick after his birthplace in England – Berwick-on-Tweed. Akoonah: In 1948, the Berwick Agricultural Society required a larger area for the annual show. They secured some 15 acres of the Berwick Pound Paddock from the Lands Department. The picturesque area with a tree-lined frontage to the Cardinia Creek and bounded by the Prince’s Hwy and Cardinia St, was to be known as ‘Akoonah’ Park, being the aboriginal name for Running Water.